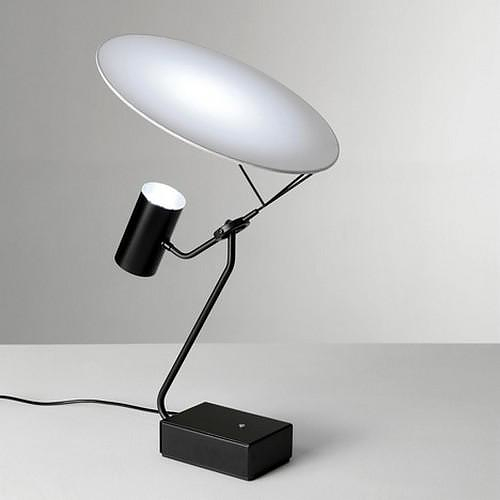 HomeBlogHome DecorFull Moon LED Lamp by Cédric Ragot for Roche Bobois. 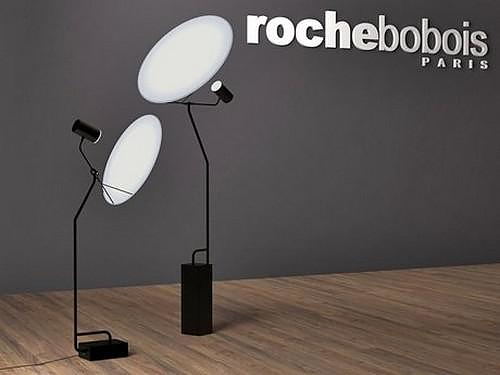 Renowned French brand Roche Bobois in collaboration with acclaimed designer Cédric Ragot present the iconic Full Moon LED Lamp. 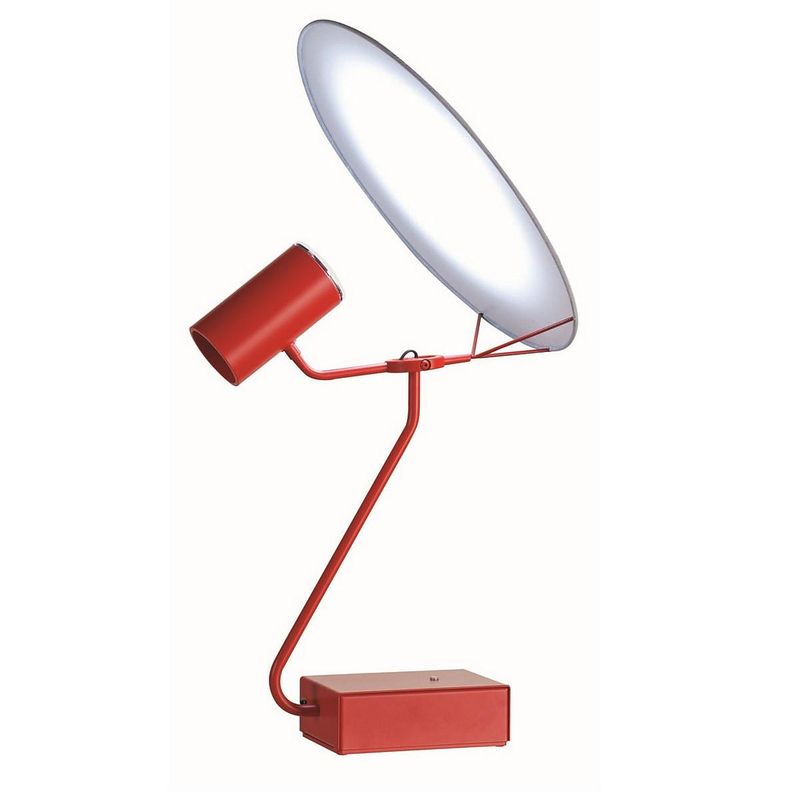 A very special artistic lamp with an ingenious shape and unique light dispersion. 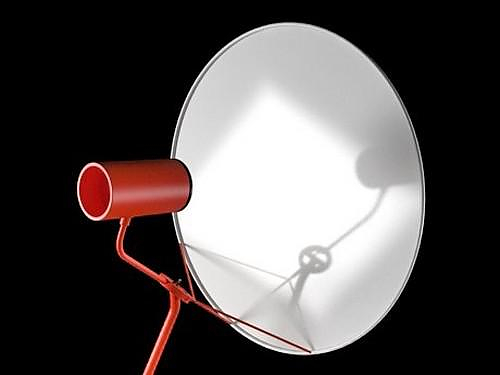 The brilliant Full Moon LED Lamp was featured in the Roche Bobois spring/summer 2013 collection, and is one of the most interesting LED lamp designs we have encountered. 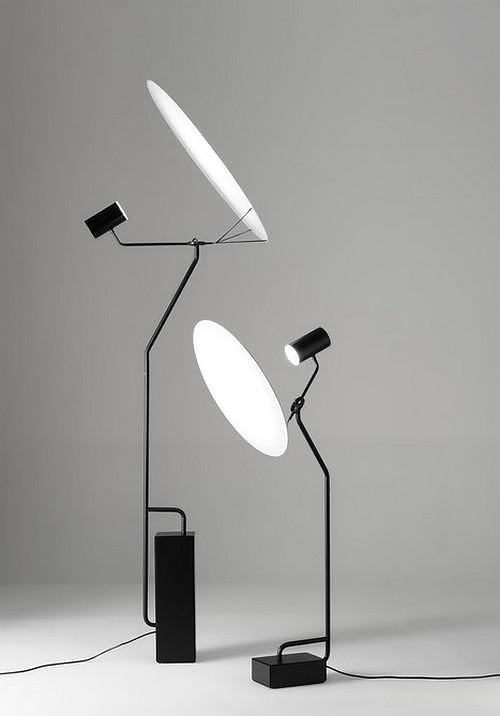 The Full Moon LED lamp series includes the Full Moon table lamp and two floor versions varying in height, the Full Moon reading lamp and the 206 centimeters high Full moon floor! Even the latter one, which is the taller version of the searies, seems aesthetically light and does not visually impose its presence inside a room. 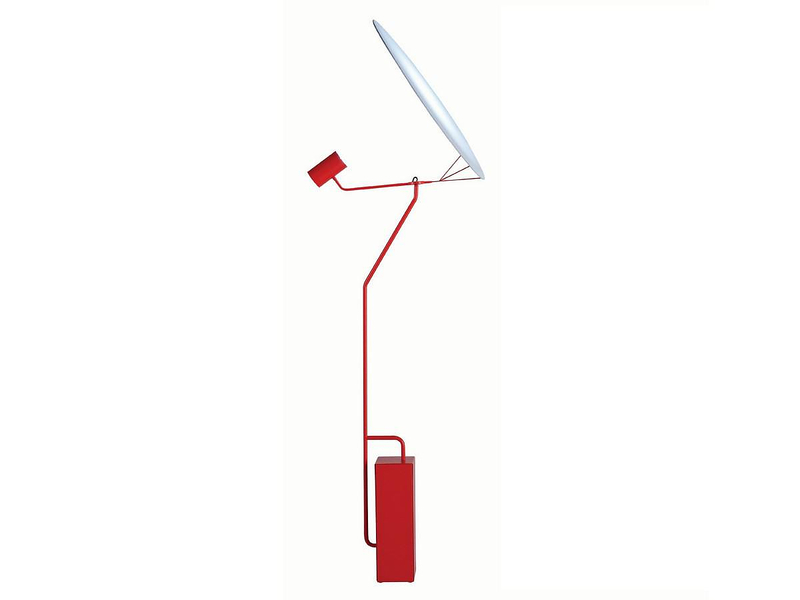 The lines of Full moon lamp are sketch-like and minimal, with the only striking element being its bright red or black color. 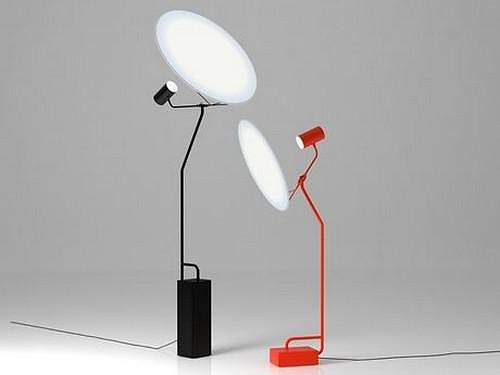 Deprived of decorative elements every part of the Full Moon LED lamp reveals its function. 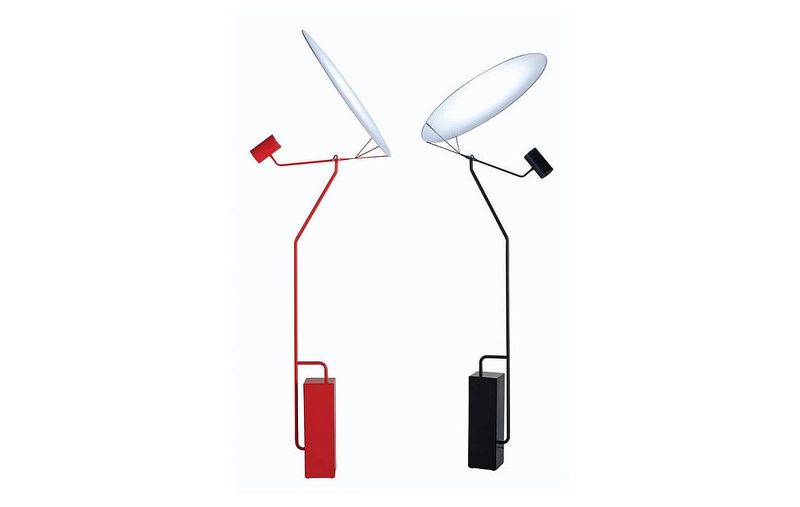 Full Moon’s structure is made of metal with glossy finish and its main characteristic is the white diffuser on top. Using LED technology to shed light on the diffuser, the Full Moon LED lamp produces unified lighting throughout each space. 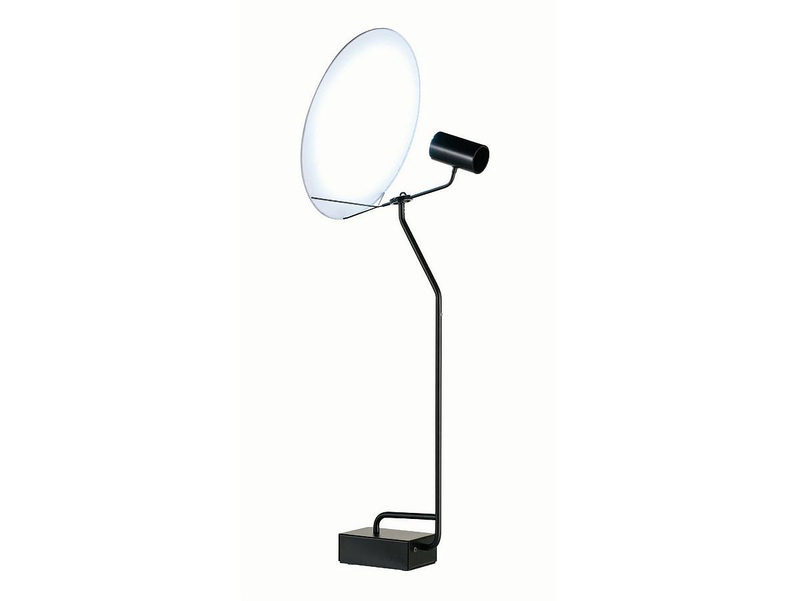 The concept of Full Moon LED lamp‘s design could be the lighting of a professional photographic studio. It is an impressive industrial design piece totally up-to-date, and was aptly included in the collection “les contemporains” by Roche Bobois. A truly minimal lighting solution for pure industrial design inspired spaces. As for its designer, Cédric Ragot he is a polymorphous designer Cédric Ragot who cultivates a transversal approach to industrial design and creativity in his creations, showing an abiding interest in forward thinking and a clear, unequivocal reading each object. Besides Roche Bobois he has created various designs for a bunch of high profiled companies like Paco Rabanne Parfums, Cappellini, Rosenthal, Veuve Clicquot, Panasonic, Alcatel, Swarovski, Schott, Krups, LaCie, Azzaro, Haagen-Dazs e.t.c. winning many important design awards.